Do What You Love, Pain Free. Board Certified Physicians specializing in Minimally Invasive Treatments and Sports Injuries located in New Jersey and Pennsylvania. "The team is very professional, courteous and friendly at all times." "Staff is very friendly and considerate." "Dr. Das is attentive, kind and compassionate. I found him to be genuine and responsive." "Dr. Kandra takes the time to answer your questions and is very thorough." "Couldn't ask for a better doctor. I've been seeing Dr. Kandra for almost 2 years." "Dr. Das is a very knowledgeable doctor and has a great bedside manner." "The staff is attentive and they make you feel comfortable and safe." To promote a pain free community that enjoys a healthy lifestyle and better quality of life. Pain relief is clearly important; however, the goal is never merely pain relief. We strive to be very specific in identifying the structural, mechanical and functional cause of your pain to help you enjoy a healthy and active lifestyle. Diagnosing the source of the problem will help us manage pain with various cutting edge and focused interventions, therapies, and same day minimally invasive procedures to ensure your quality of life. 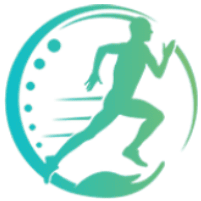 Treatment plans are designed to decrease pain, accelerate healing, improve mobility, strength and function, and teach skills needed to prevent the problem (along with the pain) from returning in the future. By addressing the causative factors that can be rehabilitated, we have a much greater ability to keep people from ever getting started with narcotics for pain management. 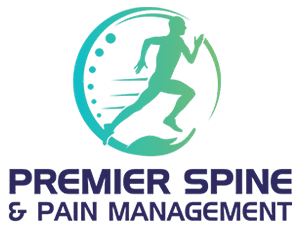 Premier Spine & Pain Management accepts and works with all insurance carriers, Workers Compensation and Motor Vehicle accident cases. Dr. Das is in-network with Medicare, Horizon NJ Health, Horizon Blue Cross Blue Shield, Horizon Casualty, Capital BlueCross and Cigna. Dr. Kandra is in-network with Capital Blue Cross and is out-of-network with all other insurance providers.